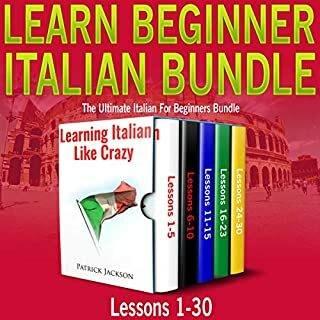 What a wonderful way to learn Portuguese! 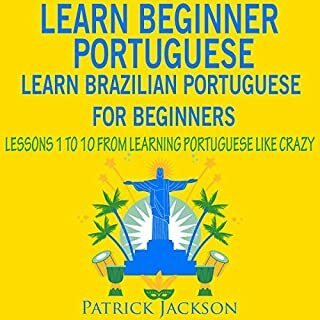 This is truly a wonderful way to learn Brazilian Portuguese especially for someone like myself who is a complete beginner. What I appreciate most about learning Portuguese this way is that it's an interactive way of learning Brazilian Portuguese that really fine tunes your ear and sharpen your pronunciation. I can't wait to get started on the next set of lessons in this series. There were some conversations in this audio course which I felt were somewhat dated such as renting a movie to watch. But that aside I still give it 5 stars because I am very happy with the amount of progress I made from using it. In particular, I am much better at correctly conjugating Spanish verbs. And I don't mean I've only improved my ability to conjugate Spanish verbs with a pen and paper. I am a lot more comfortable conjugating Spanish verbs when actually speaking the language as well. 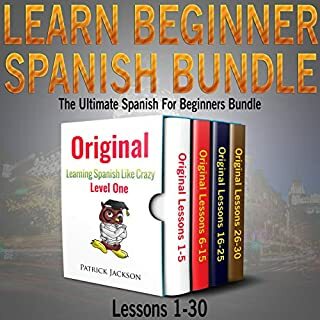 Although the first book in this bundle is a book for learning Spanish words and phrases, in other words, a vocabulary builder, it's better than all or the majority of the other products I have bought that teach Spanish vocabulary words and phrases. What separates this one from the others is that not only is there a pause to repeat the Spanish word but there is also a pause to repeat the Spanish phrase. 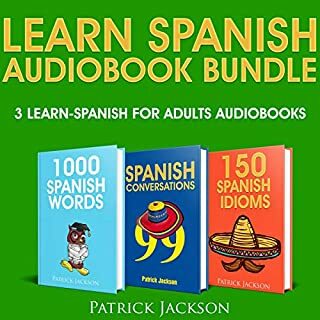 To most this probably sounds like a very small feature or a minor distinction from the other Spanish vocabulary audiobooks which do not have those pauses. But these small differences are helping me to correct my pronunciation in Spanish and make my Latin American Spanish accent sound so much better. 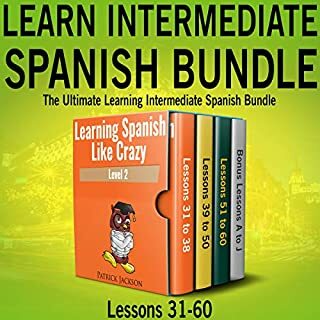 The 99 Conversations Spanish audios and the Spanish idioms audios are extra-value-added bonuses for me. I'd be 100% satisfied with this audiobook even if it didn't include anything more than the 1,000 Spanish words and phrases audiobook. I have tried a handful of learning Spanish programs. Both paid and free. Now I understand why so many Spanish language learners say that this one is the best. It engages the learner like no other Spanish program. The narrator is not someone just reading off a long list of vocabulary words. It's a narrator who actually interacts with the listener. It's like having my own native Spanish speaking instructor interact with me and even check my pronunciation. I am truly looking forward to continuing with the intermediate and advanced programs in this series. This is the third or fourth learn-a-foreign language product that I bought from this same author in the last few weeks. I obviously find them to be very effective otherwise I would not keep buying them. But they should have a warning message stating that the use of these language learning products cannot only be effective but also addictive. LOL.